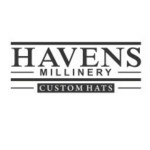 I am a milliner that designs and builds custom hats for men and women. My styles range from classic readyday wear to special occasion. Many of my hats have been seen on stage for theatre as well as fashion icons. Looking for whole sale buyers to feature my work in department stores and gift shops. I also would like an opportunity to present a hat to a celebrity to wear one of my creations at a special event.